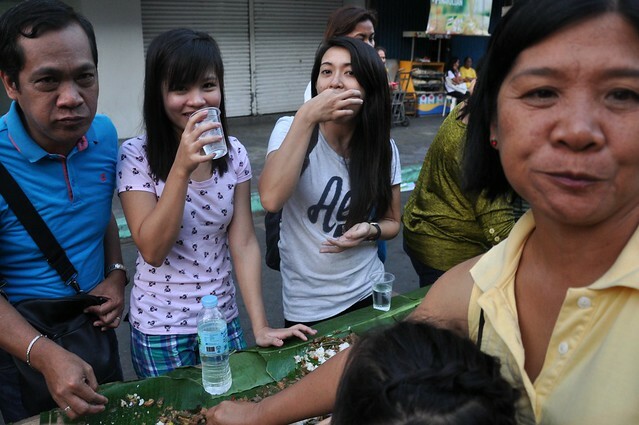 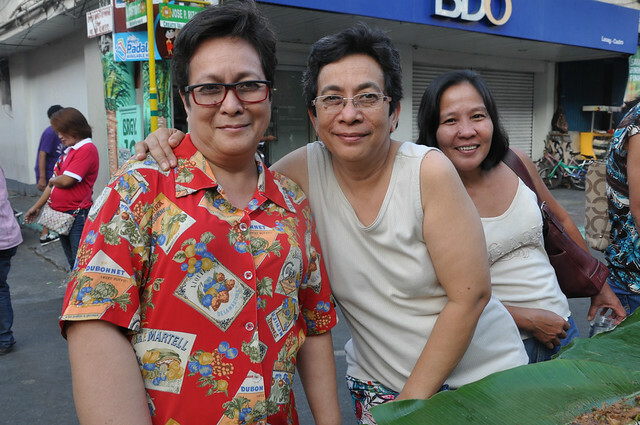 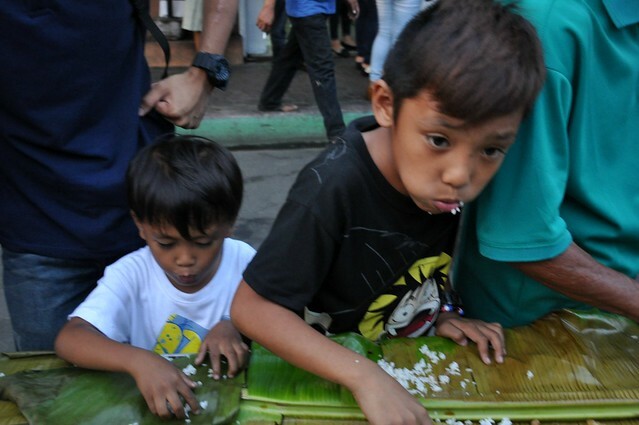 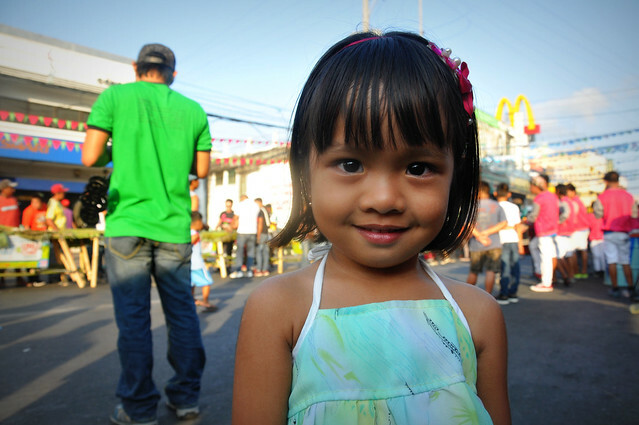 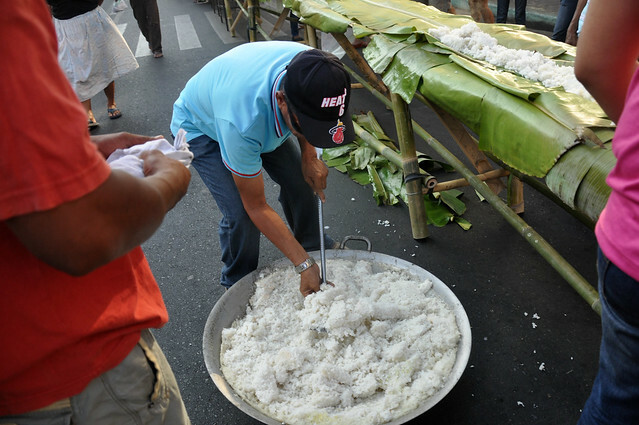 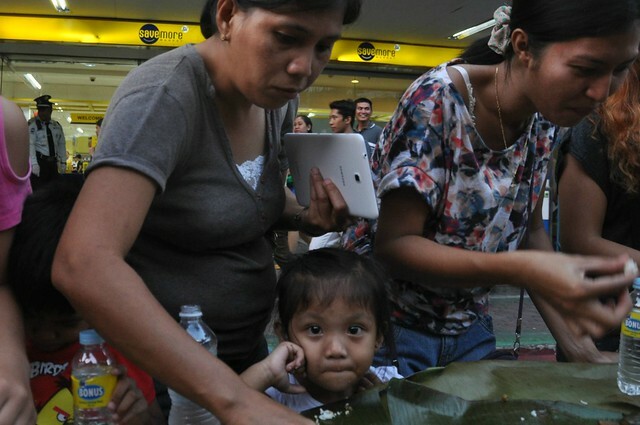 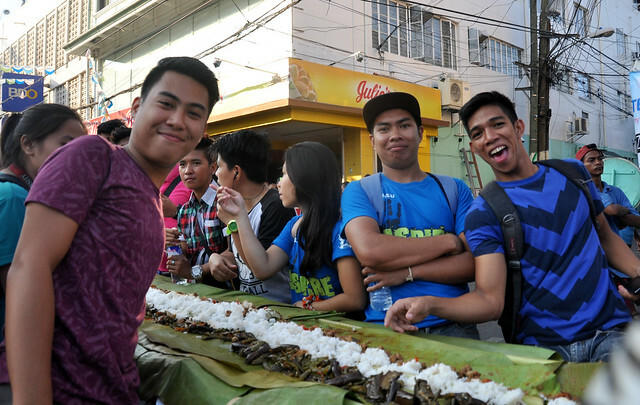 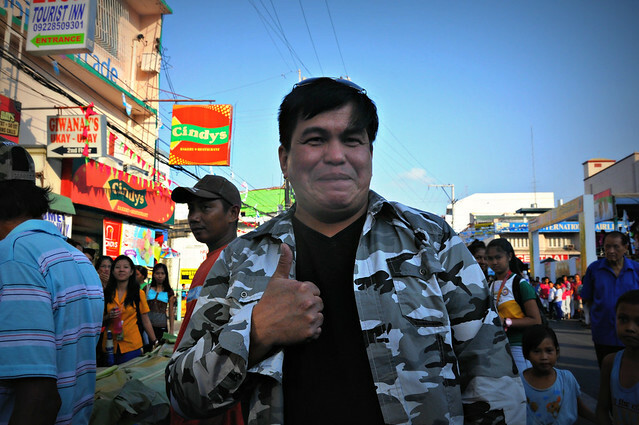 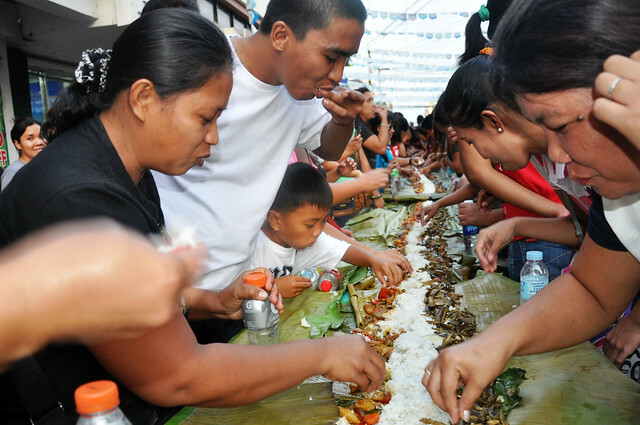 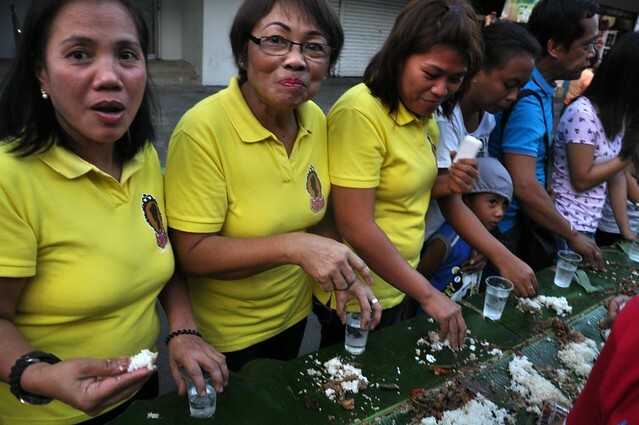 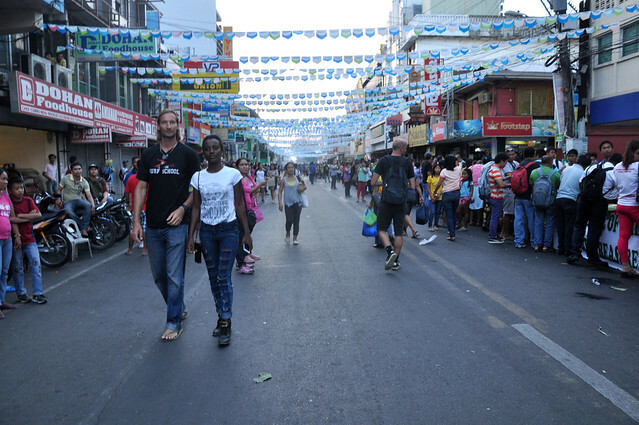 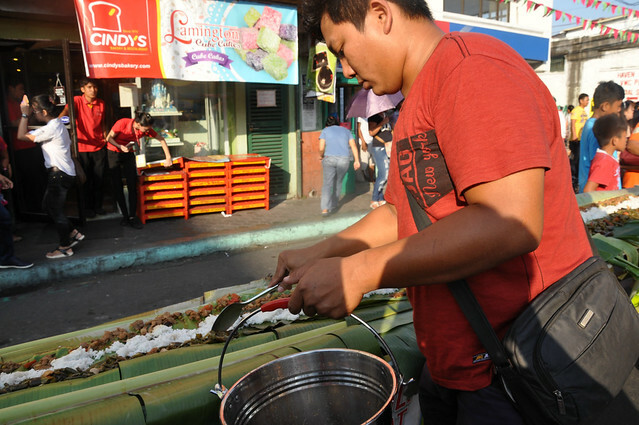 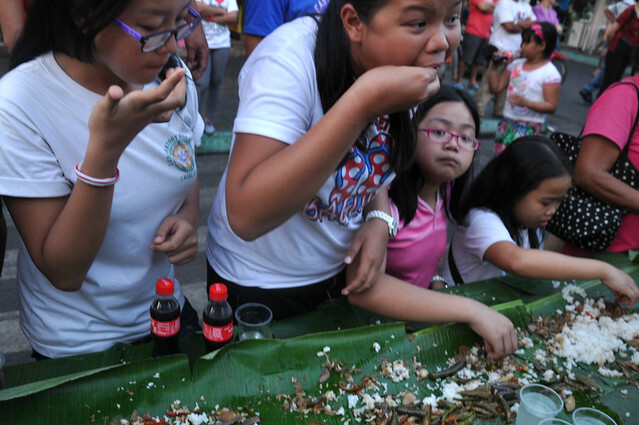 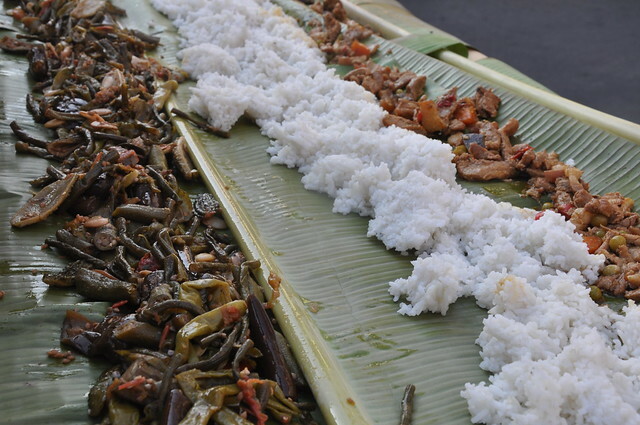 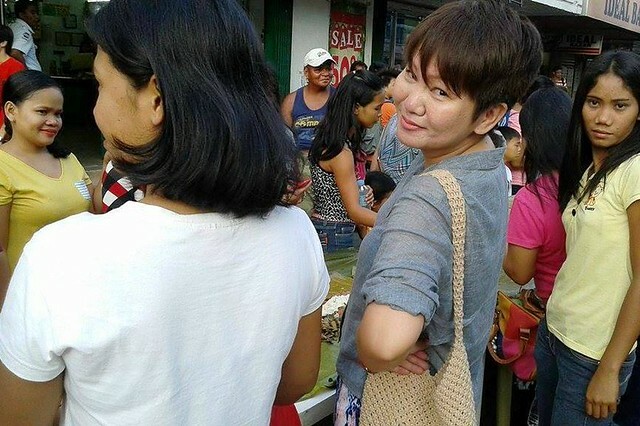 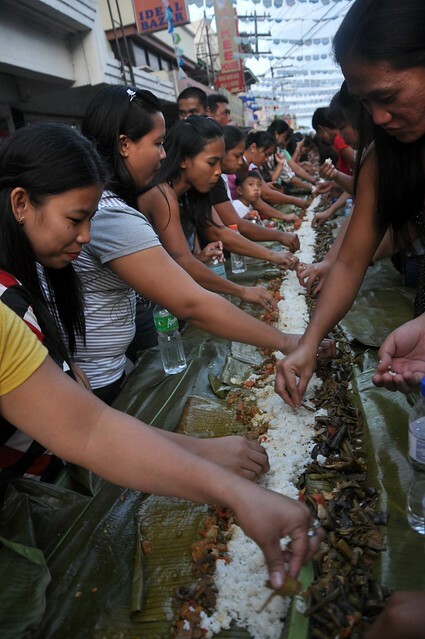 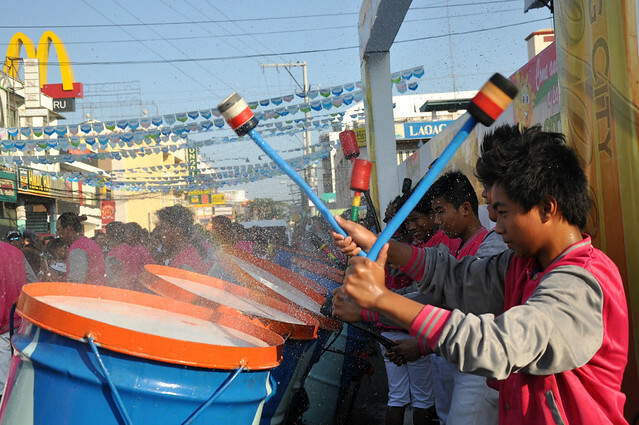 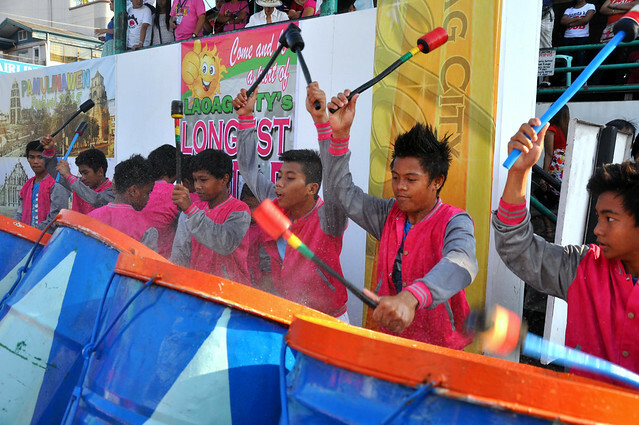 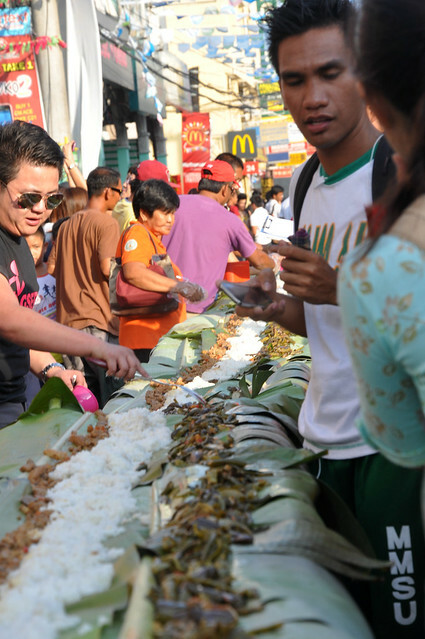 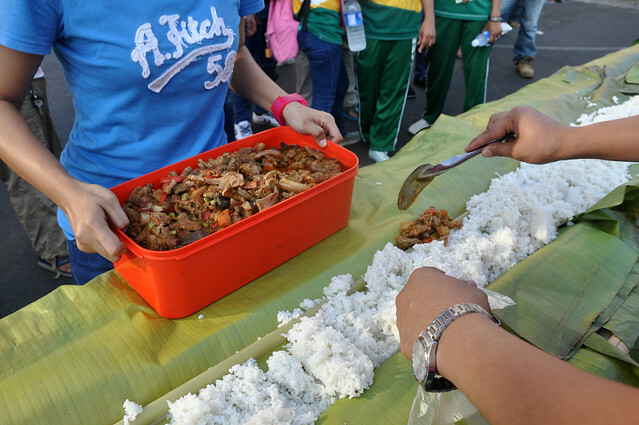 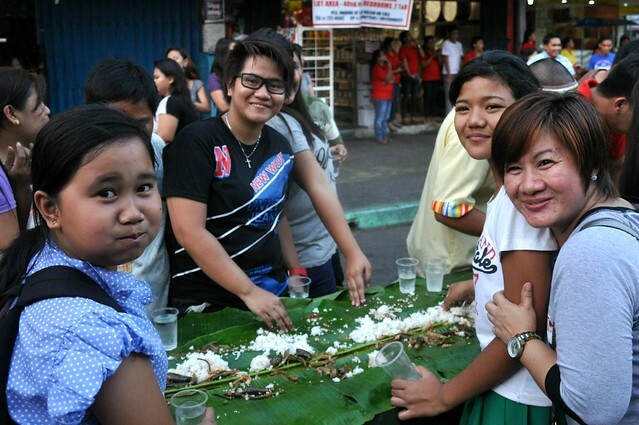 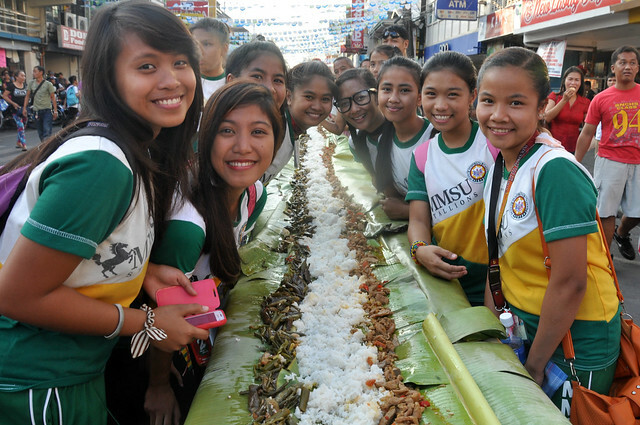 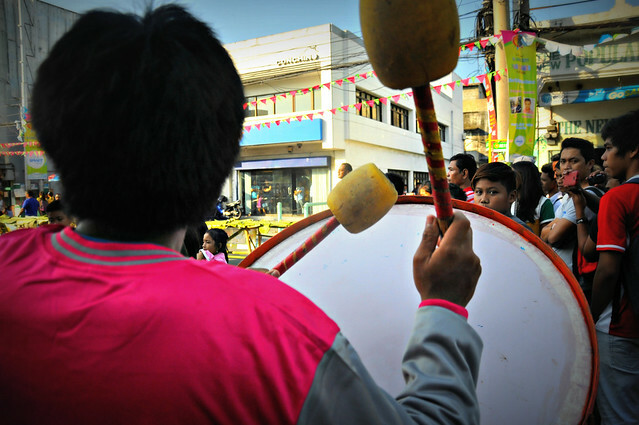 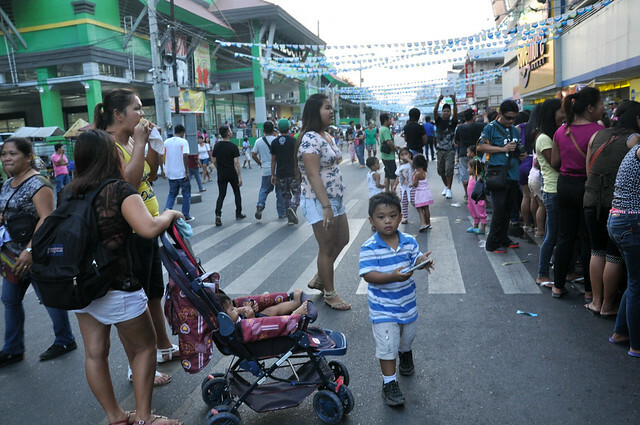 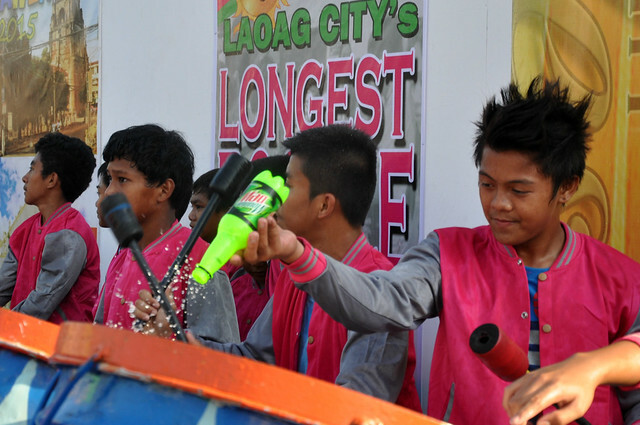 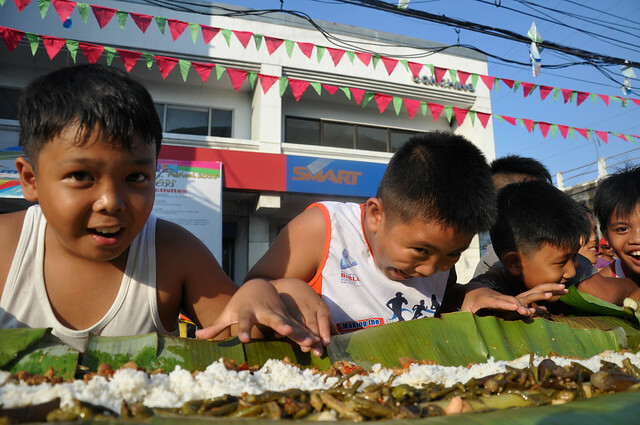 Approximately 4.5 km of pinakbet, igado and rice laid on banana leaf-lined tables for everyone to partake at major streets in Sunshine City Laoag was the highpoint of the month-long Pamulinawen Festival celebration. 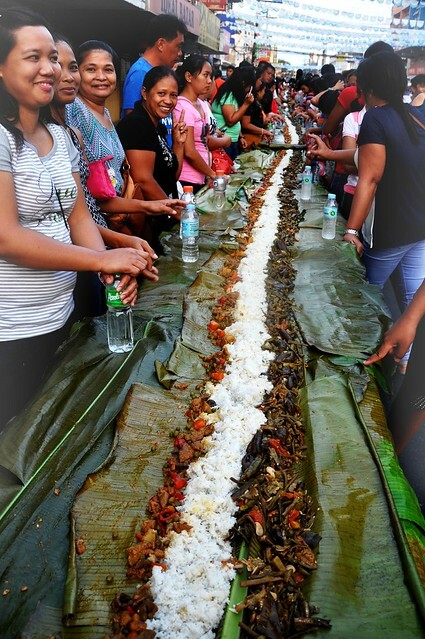 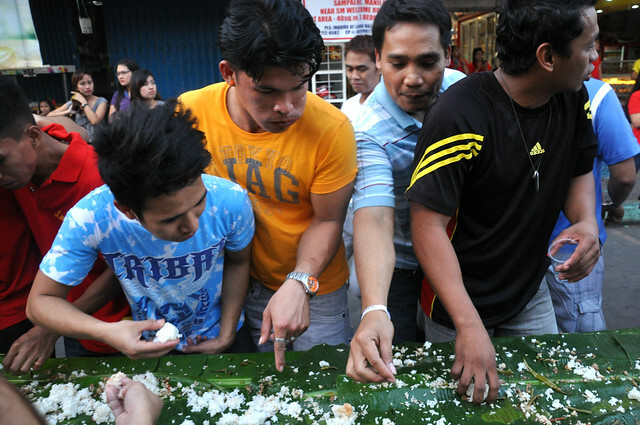 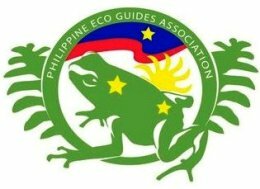 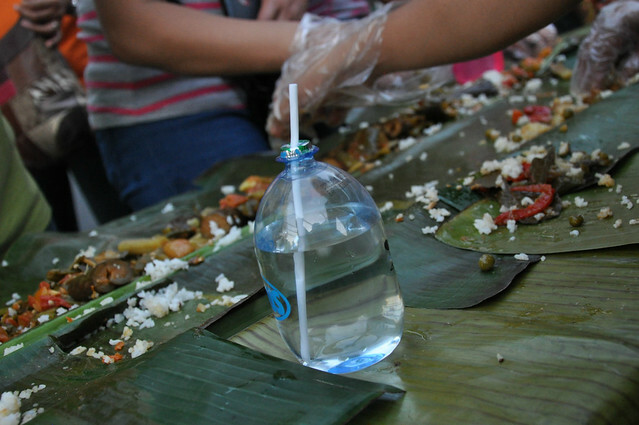 It was a good fight, a major boodle fight aimed to break records. 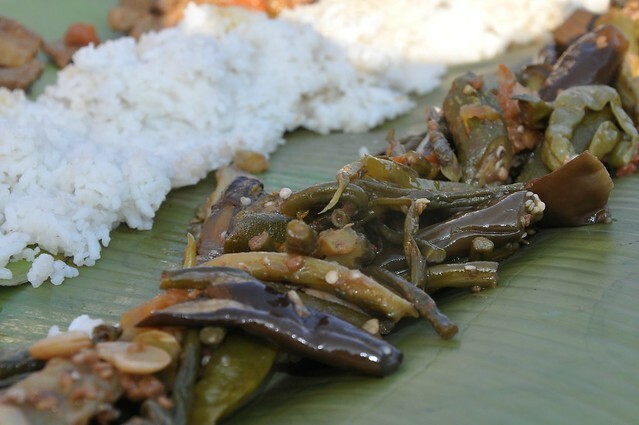 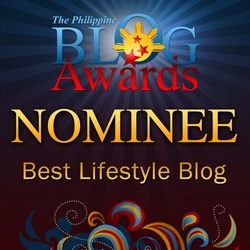 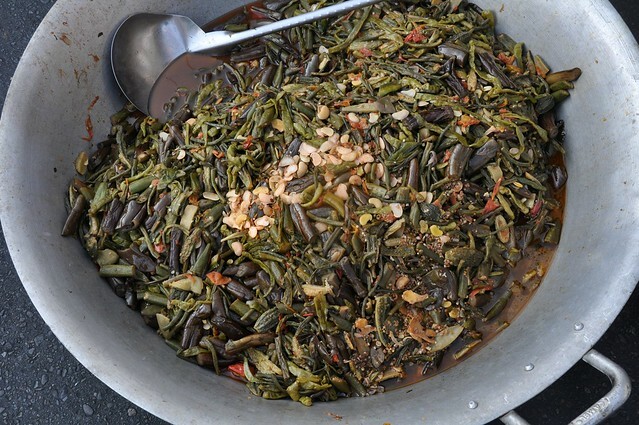 There’s a secret to eating kamayan style — get with your left and eat with your right. 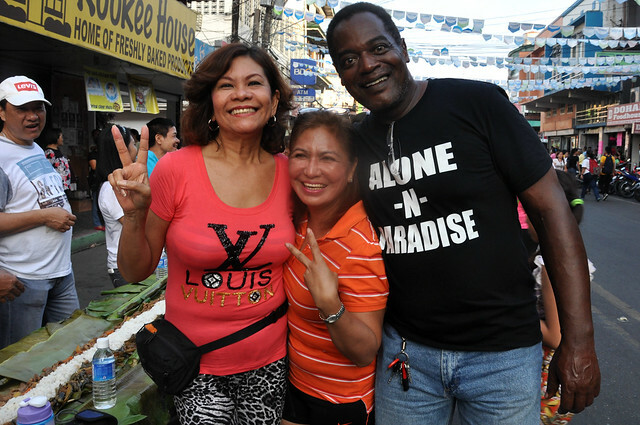 The event was a success if no status barrier is taken into account. 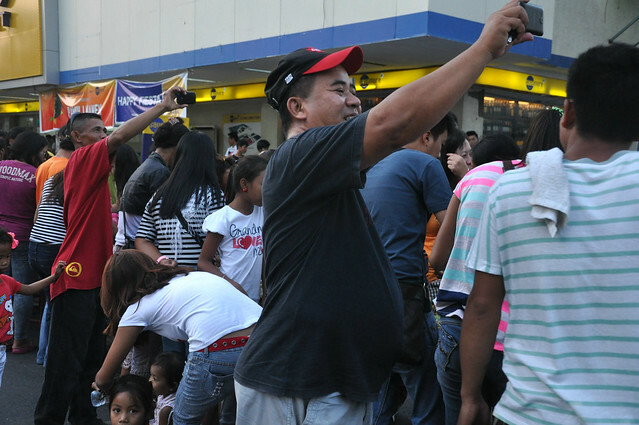 Everyone seemed to have enjoyed selfieing, eating, selfieng. 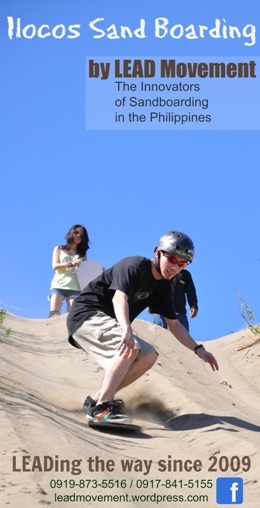 Even Marc Logan came! 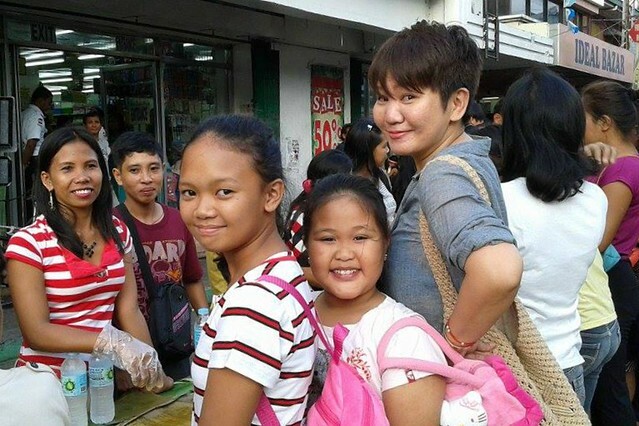 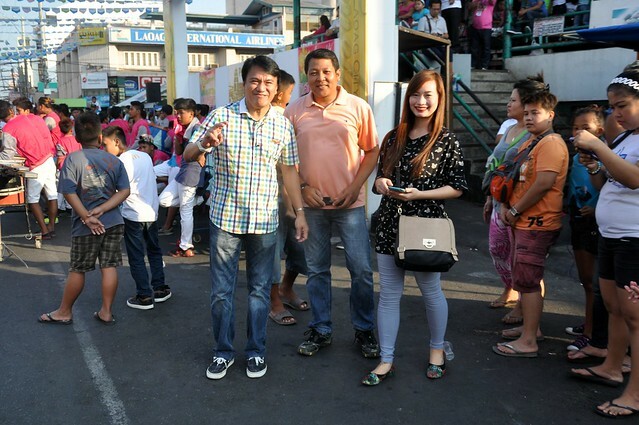 The indefatigable Laoag mayor, Chevylle Fariñas and her daughter Mikee, the young Laoag ABC President, in photo below. 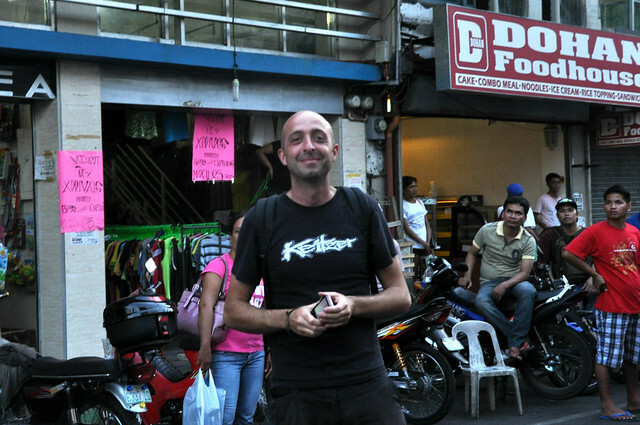 Hahah, Marc Logan in Laoag! 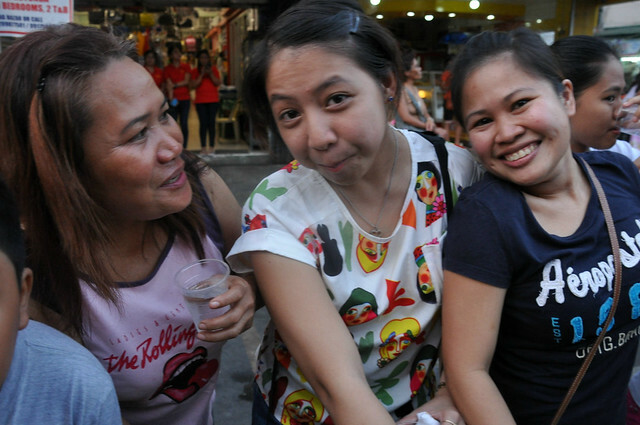 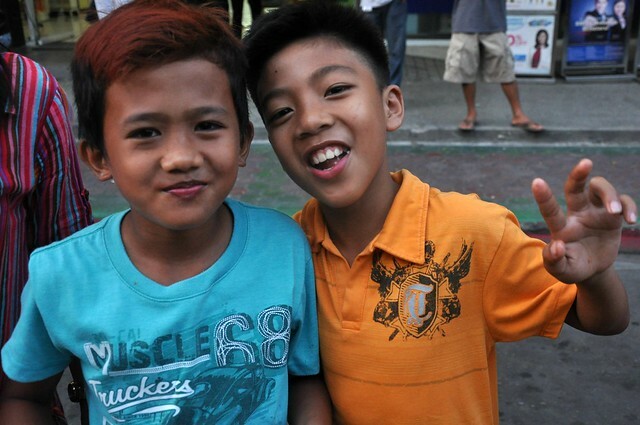 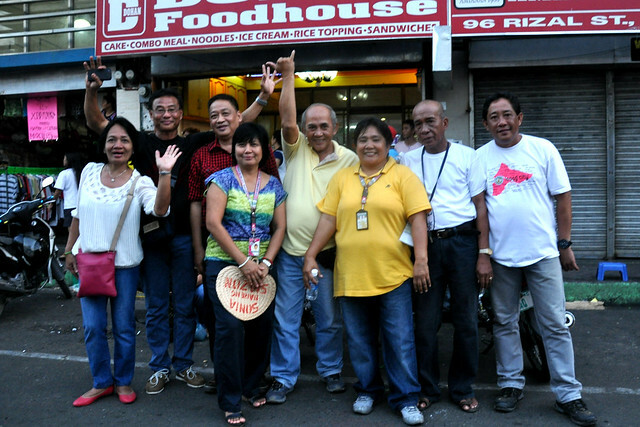 Look at all the happy faces – busog lahat!